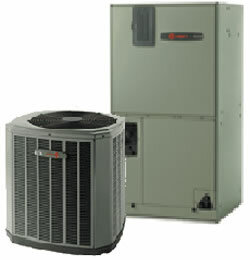 The new Trane XR15 is a new single-stage air conditioner, offers up to a 17.00 SEER rating with Trane variable speed furnaces, air handlers and Comfort Coils. The fan motor inside 2/4 TEE Tranes variable-speed air handler is designed to vary its speed based on your homes heating and cooling requirements. Featuring R410A Refrigerant.